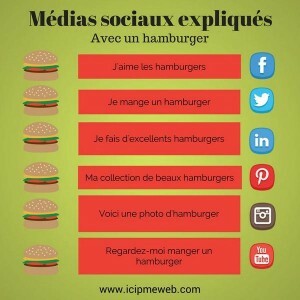 I introduced the lesson by projecting this infographic which explains various social media in terms of hamburgers. After a quick discussion of the image, I had the students discuss their experience with various social media in small groups, taking notes so that we could then have a short whole class discussion. Next, I passed out three different infographics showing the role of these social media, especially Twitter, in France. I designed a task in which the students would discuss similarities and differences between French and American culture in regards to Twitter, but this was difficult, as the students didn’t have the same type of statistical information for their own culture. I would amend this part of the lesson by either providing some American statistics or changing the task completely. I do think, however, that it is important that the students have some background knowledge about the use of Twitter in France in order to understand the theme of the song. In addition, this information was a good resource for the upcoming AP test. At the end of the period we had just enough time to watch the video. When I continue this lesson tomorrow, I’ll begin by playing the second video so that the students can see Stromae singing the song. As they listen, they’ll fill in the graphic organizer with their thoughts and reactions to the song. Then I’ll pass out the lyrics and have them discuss the vocabulary, key verses and theme of the song. Lastly, they’ll write additional verses for the song. This entry was posted in French 4/5 (AP) Units, Infographics on April 26, 2015 by madameshepard. This is such a great resource and idea for a lesson!! Thank you again for sharing!! Thank you sooo much for sharing your wonderful activity! You are amazing. I mean it. I wish you lived by me so we could have coffee. Merci infiniment. Awww. That’s so sweet!!! I’d love to meet you in person, too! Great lesson! I could not open your info graphic about the burgers though, is there another way I can see it? Great minds think alike! After completing a music project with my French 2 classes, students have been downloading numerous songs in French. Stromae happens to be a favorite. ..shocker! I showed them this video. I was pleased that several kiddos viewed this on their own. I was impressed with the discussion we were able to have. Topics such as symbolism, survival, society corrupting man and vice versa. It sounds like a great lesson! 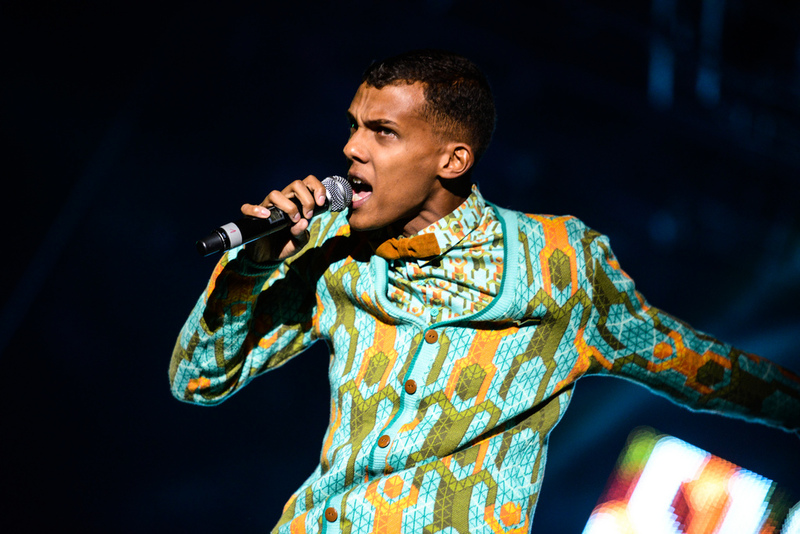 Did you catch Stromae on Jimmy Kimmel Monday night? Merci! I am starting to follow your blog and am motivated and inspired by what you are doing. Thanks for being so generous. ALL of your lessons have inspired me in many ways. Thanks ever so much for sharing! I used parts of your lesson with my French II and III students in order to introduce the song to them. At the end of the lesson, one of my French III students mentioned the familiar tune and the opera “Carmen”. So we looked it up and saw the connection. Thanks to Geert De Deckere for sharing the pdf file. I’m so proud that French teachers from around the world are using this blog as a place to collaborate! I encourage all of my readers to share here. We have so much to learn from each other! Amazing! Thank you so much. I can’t wait to try this out! Already two years old, but could perhaps be useful.